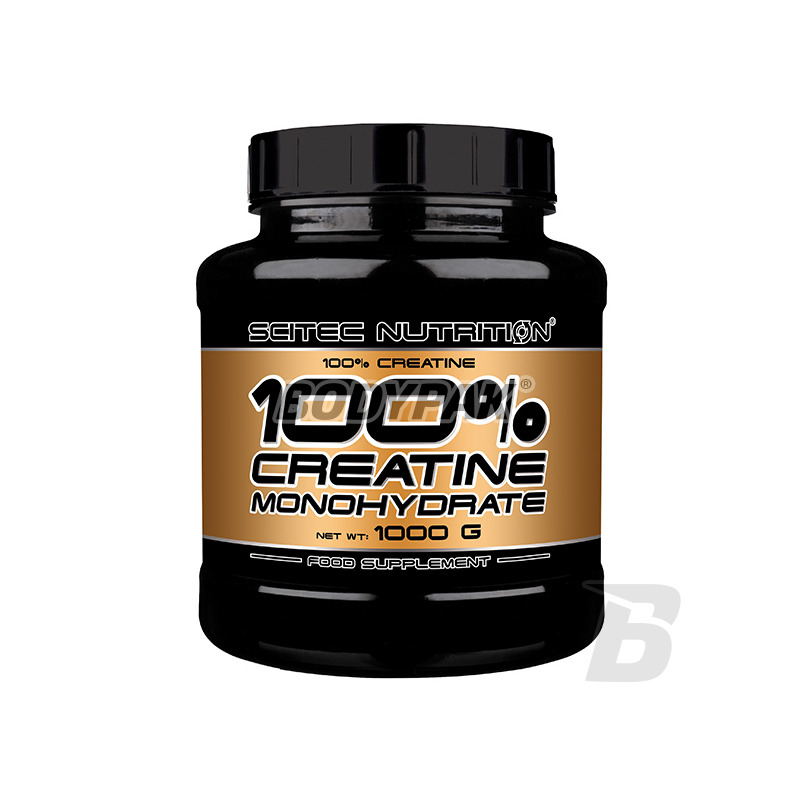 High-quality creatine monohydrate in powder form. It is most effective with legal anabolics! It supports fast growth of muscle mass! 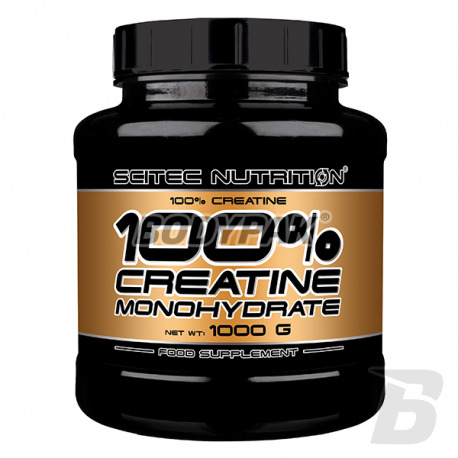 100% Creatine - Scitec company, is the highest quality micronized, absolutely clean and free from any contamination, Creatine Monohydrate. He participates in the transport and rebuilding of ATP - ATP serves as an energy carrier in our body, without it the course of most reactions, ranging from simple synthesis of the muscle contraction, would be impossible. Creatine for its ability to bind phosphate groups (then transformed into phosphocreatine) participates in these, transport and rebuilding of ATP. 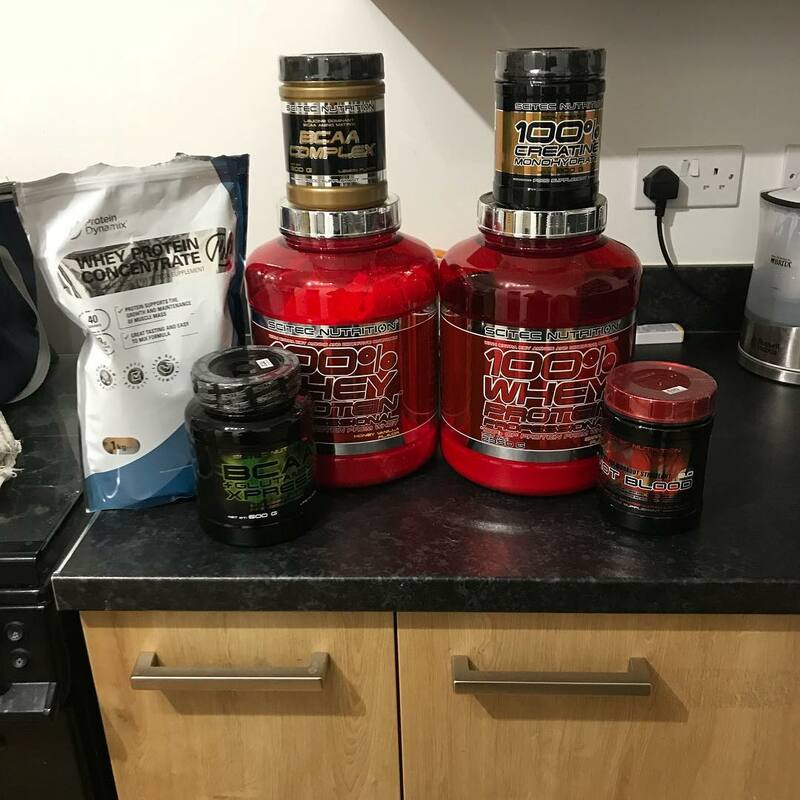 Increases the rate of protein synthesis - by increasing the amount of water retained in the muscle cells contributes to a more anabolic (growth promoting) environment. It inhibits catabolism - thanks to their ability buffering helps to maintain proper muscle pH. It is very important that the majority of the enzymes responsible for the breakdown of muscle tissue, can only operate in a very acidic environment. Exhibits antioxidant properties - helps fight dangerous to health, free radicals. It also prevents a number of harmful effects arising due to oxidation podczaswysiłkowego. It helps protect the heart - either directly, as in the heart of which is a high concentration of creatine, and indirectly by regulating the level of cholesterol and protection from the effects of excessive stress. Rozpuszczalność 3/10 :) W porównaniu do jabłczanu z CM3, to jabłczan rozpuszcza się jak Plussz w wodzie. Kreatyna jak kreatyna, działa jak powinna, proszek jest gładki, nie ma żadnych grudek oraz w smaku kiedy wsypuje prosto do buzi jest dobra w porównaniu do innych, które wydawały się jakbym mąkę jadł. Bardzo dobra 5/5! Klasyczny monohydrat w dobrej cenie - widać przyrosty, polecam! Bardzo Dobra kreatyna! nie zamienił bym jej na żadną inną. świetnie na mnie działa wyraźne progresy na siłowni! na pewno kupie ja na następny cykl. daję 5 na 5! polecam! !